Will director Lynn Shelton’s new film, Your Sister’s Sister, make the San Juan Islands even more famous than they already are? Set primarily on Orcas Island, the story revolves around a grieving mess of a man, Jack, who spends time recovering from a tragedy in a cabin here. Emotional drama ensues. There’s something so very Northwest about the film, largely due to writer/director Shelton, who has lived and worked in Seattle for years. Despite the marquee names (Emily Blunt, Rosemarie DeWitt, Mark Duplass) it was shot in 12 days on a shoestring budget, and the dialogue is mostly improvised, imbuing it with this very real, very indie feel. And check out the fleece-and-flannel-packed wardrobe … Hello, Seattle. Then there’s the whole soul-searching-in-nature thing, and what better setting than the woodsy, verdant, oh-so-picturesque San Juans? If that doesn’t spark island fever, The Barefoot Bandit from author Bob Friel, just might. Friel, an Orcas Island resident who witnessed the manhunt for Colton Harris-Moore, chronicles the life of the the plane-stealing teen who was captured in the Bahamas after more than two years on the run. We’re told that the book has been optioned for a movie. San Juan is a star again. 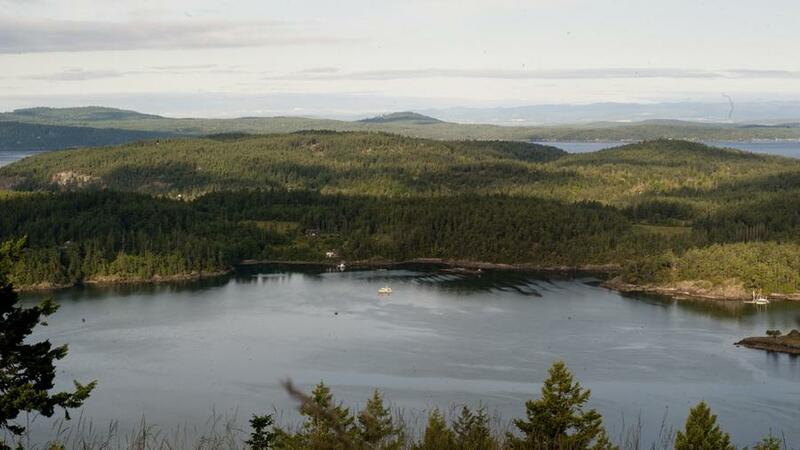 Maybe it’s time you thought about having your next personal drama on one of the San Juans.